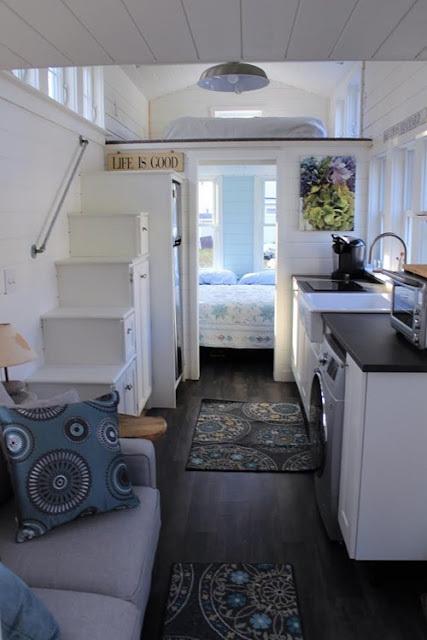 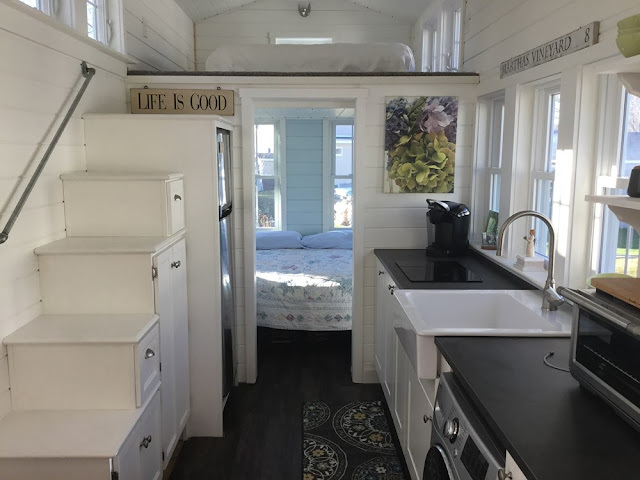 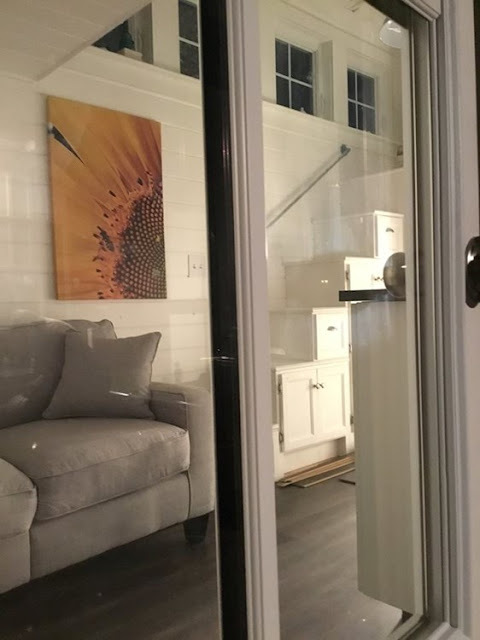 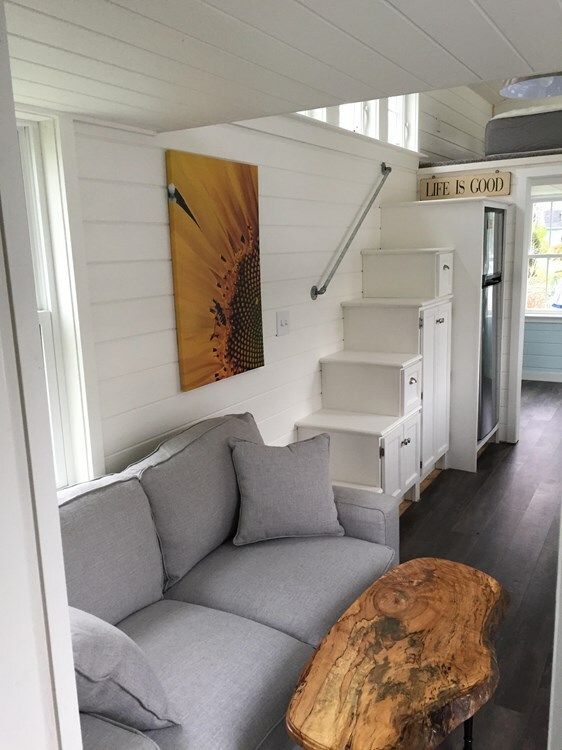 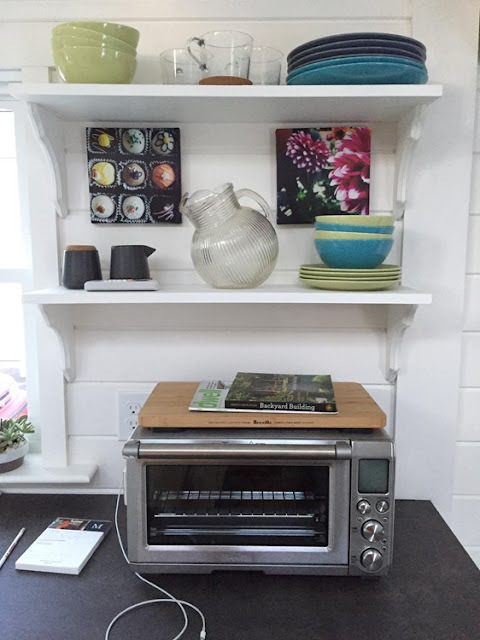 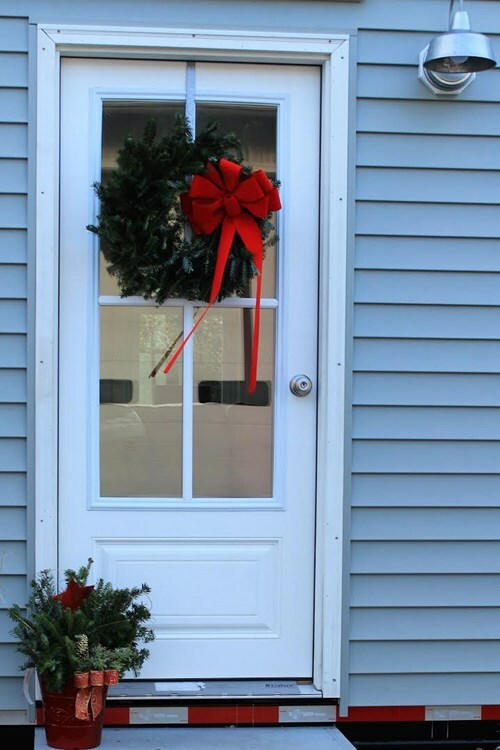 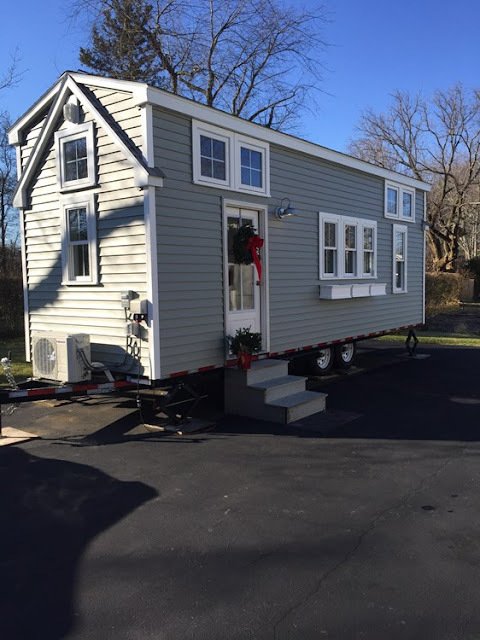 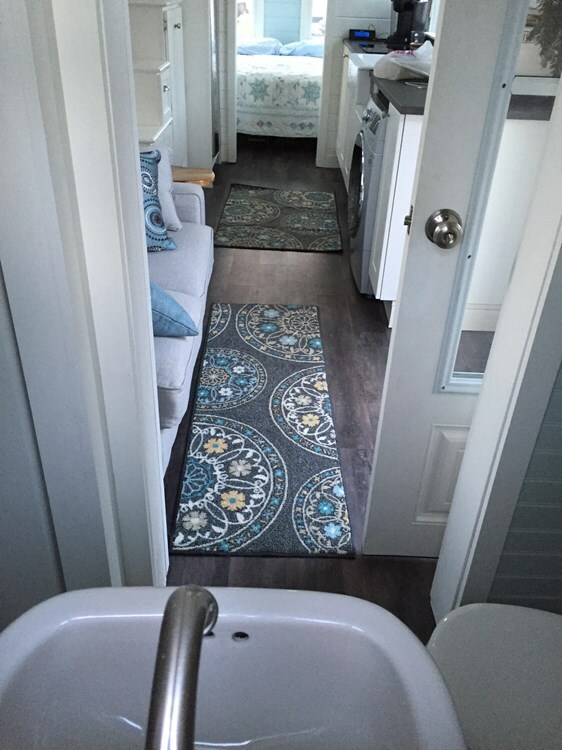 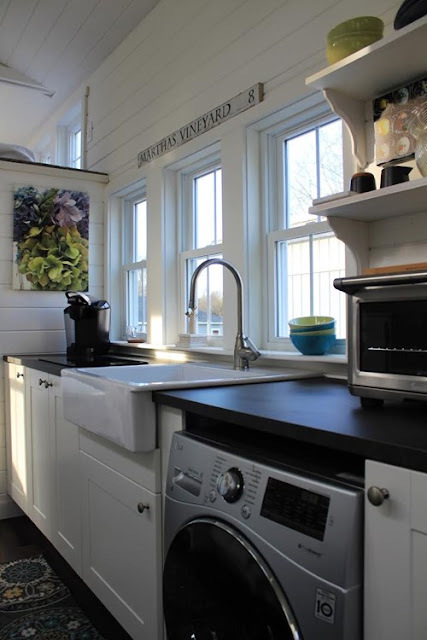 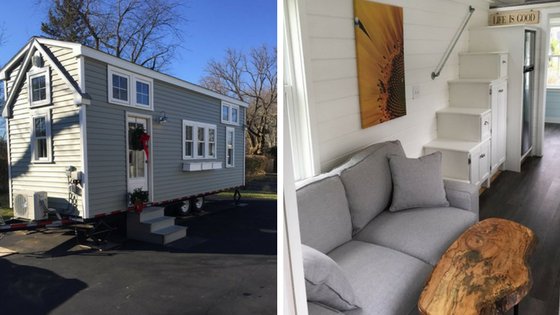 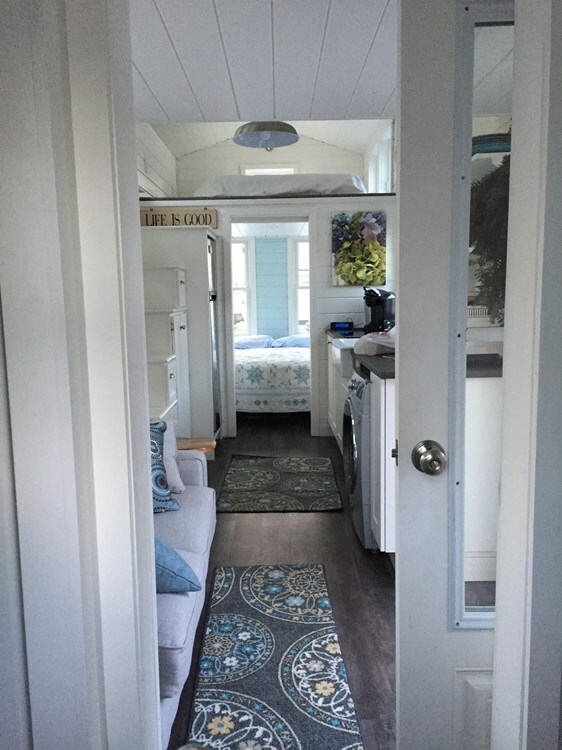 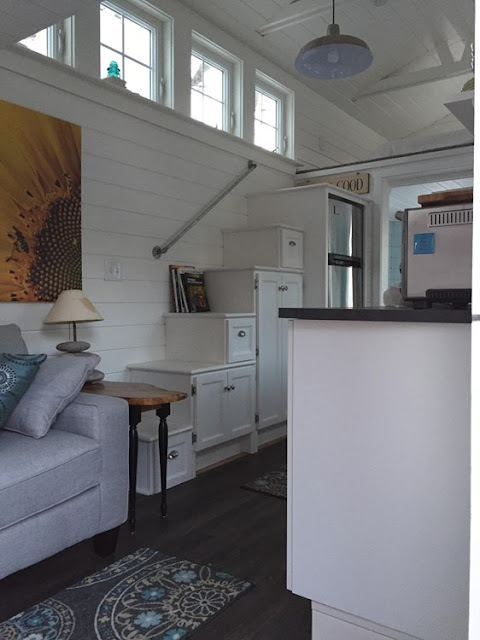 This cute, traditional tiny home is currently available for sale in Webster, Massachusetts! 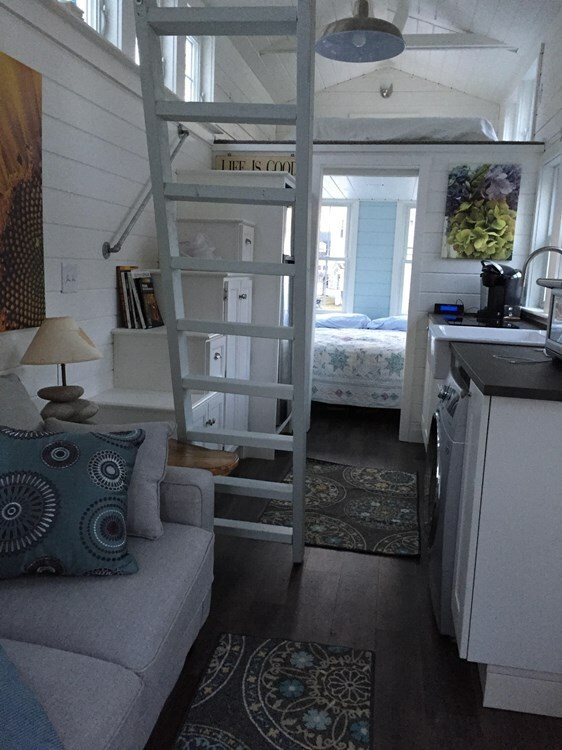 Named the "Seagrass Cottage", it's the second model of its kind but a little bigger than its predecessor. 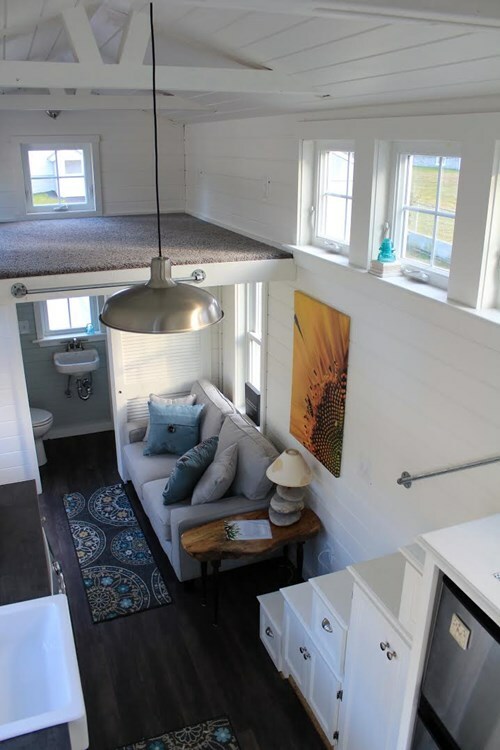 Its bright interior features a loft bedroom accessible by stairs, a second loft for storage, a kitchen, living room, and a bathroom. 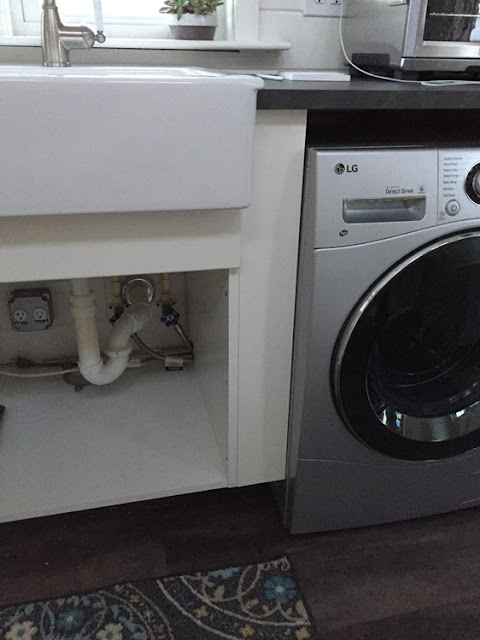 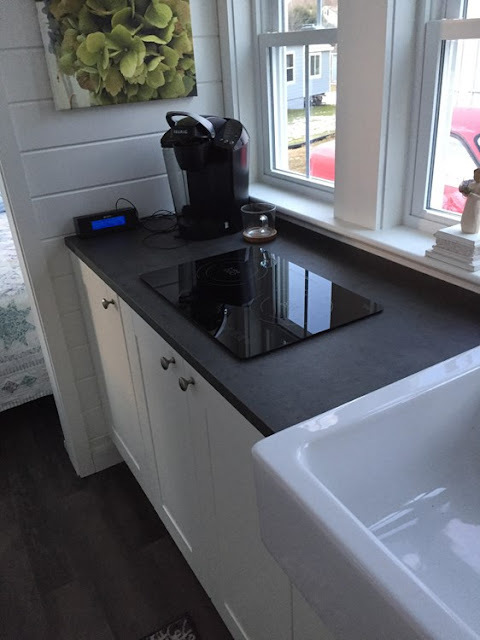 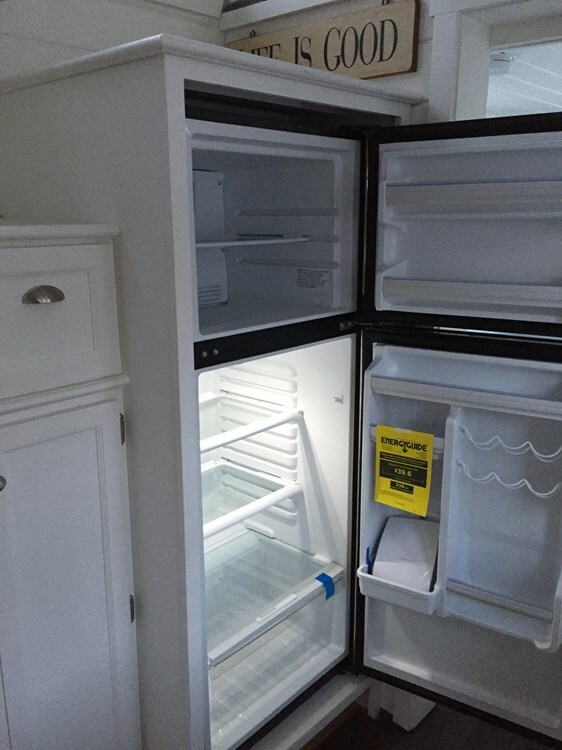 There's also a washer/dryer unit located under the kitchen counter so you can do laundry! The Seagrass Cottage is currently available for sale here for $79,000!